Our founder and one of our student participants show off the collaborative mural! We kicked off the 2018-19 school year with a mural! 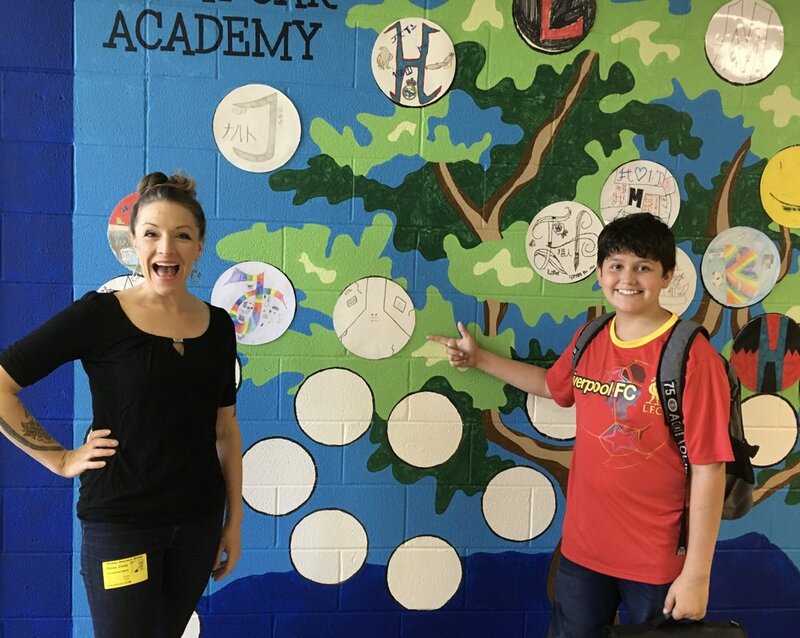 In partnership with Any Given Child Shenandoah Valley, the Art Mobile worked with students and faculty at Great Oak Academy to create a mural in the hallway of their school. Students learned about the history of large-scale artwork and the process of creating big paintings on walls. The middle schoolers were shown how to take a sketch, create a grid, and enlarge the design onto the wall. Then the students helped design and paint a mural of their very own! Each student was then given an individual circle in which to create a personal work of creative expression. 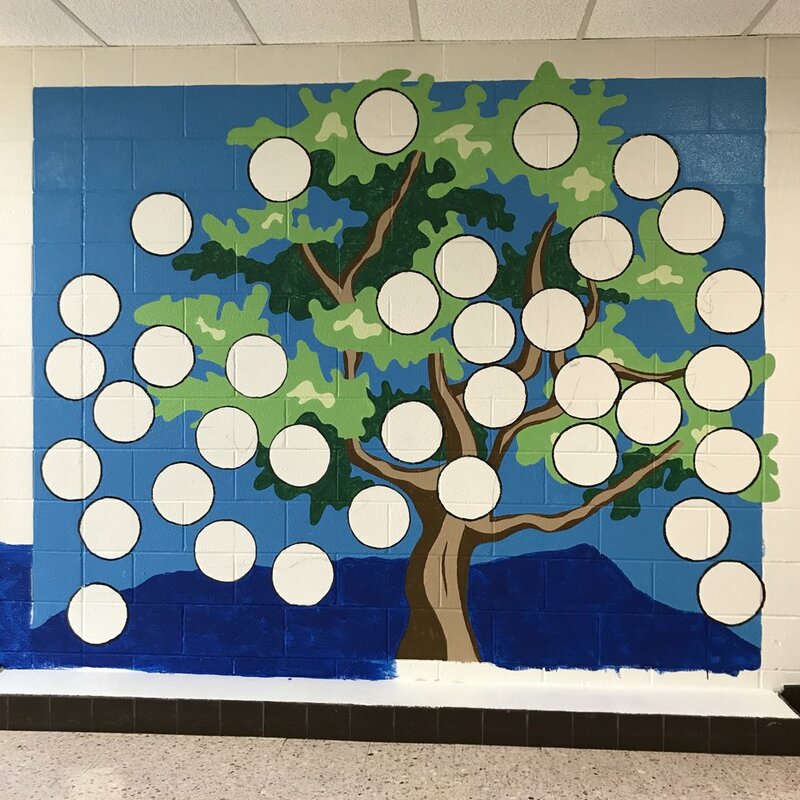 The circle artwork was created on separate paper, so that at the end of the year students can take their work home and next year the new students will have the chance to create art to display in their hallway. The mural in progress from its humble beginnings to a vibrant addition to the visual landscape of the hallway.